The Victorinox RangerWood 55 Knife is designed to take on any challenge with safety, performance and efficiency built in. The ergonomic handles are made from genuine hardwood. 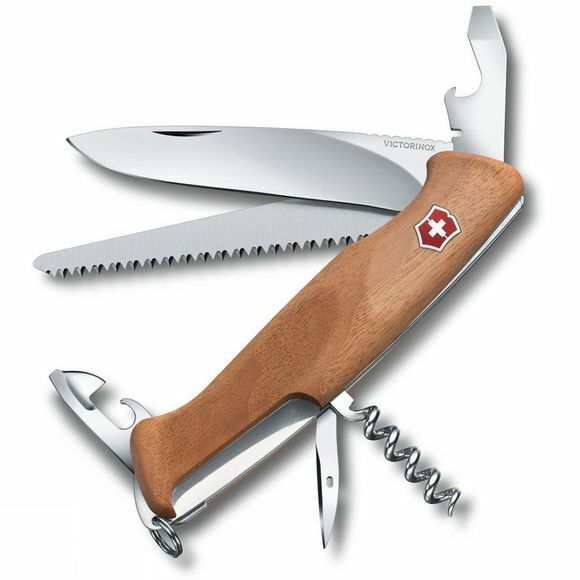 The RangerWood 55 features a locking knife blade, a double-cut wood saw and a corkscrew. This knife puts the power to take on bigger problems with more control right back in your hands.